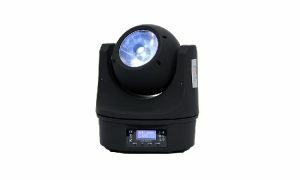 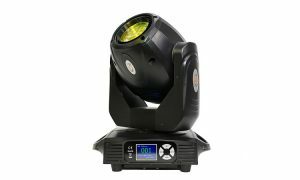 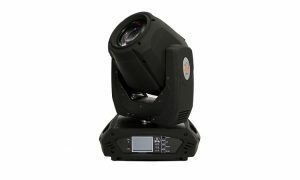 Led Spot moving head, 40W Luminus Led ,7000K Cool White, 9 colors + white, 11 static gobos + open, 3 facet prism rotation. 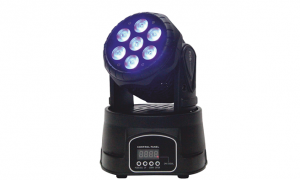 Led Spot moving head, Beam aperture: 18°, 90W Luminus Led,8000K Cool White, 7 colors + white, 6 rotated gobos + white,interchangeable , 8 Fixed gobos +white, 3 facet prism rotation. 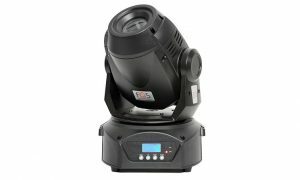 Pocket size wash led moving head, High power 7x 10W 4-in-1 LEDs, RGBW colour mixing, 0-100% ,Dimmer, DMX and Stand-alone mode, LED display and control panel. 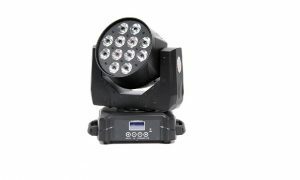 Unlimited Rotation Beam moving head with 60 watt Led RGBW.Dimmer: 0-100% linear dimming , Adjustable speed strobe effect ,Pan/Tilt 360° infinite rotation, Powercon in/out , 4kg. 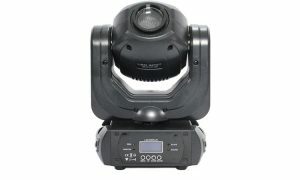 Wash moving head, 12 RGBW 10w 4in1 LEDs Beam aperture: 25°,Preset color macros , Dimmer: 0-100% , stop/strobe effect, 13DMX channels, 5kg.